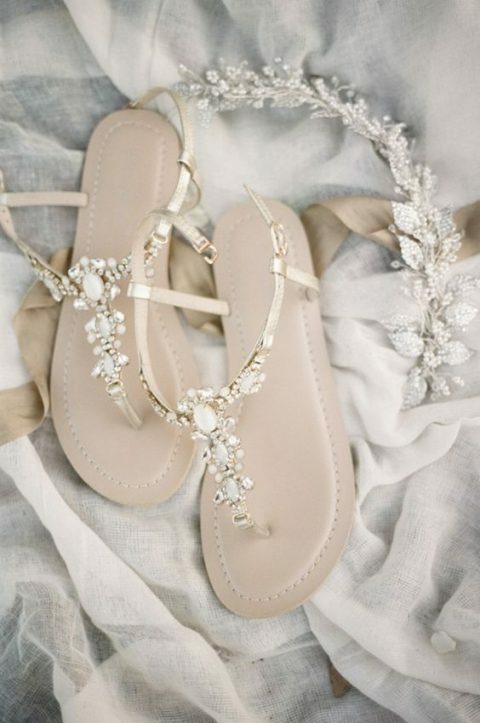 Summer wedding season is approaching and if you are getting ready for it, I’m here to help you! 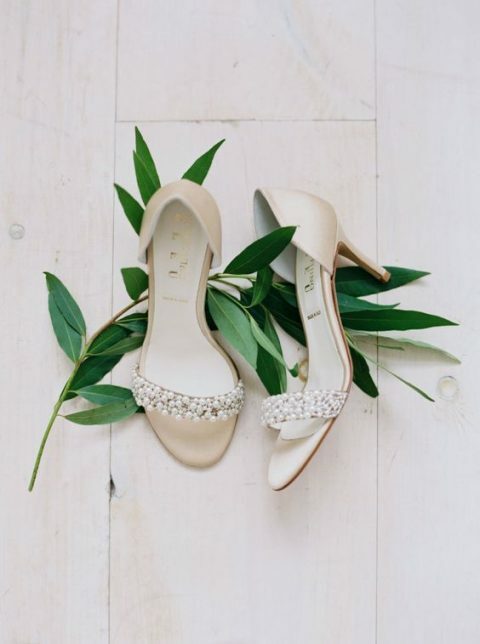 Today’s roundup is especially for our darling summer brides, I’ve gathered the coolest and trendiest bridal shoes ideas to rock in the summer. 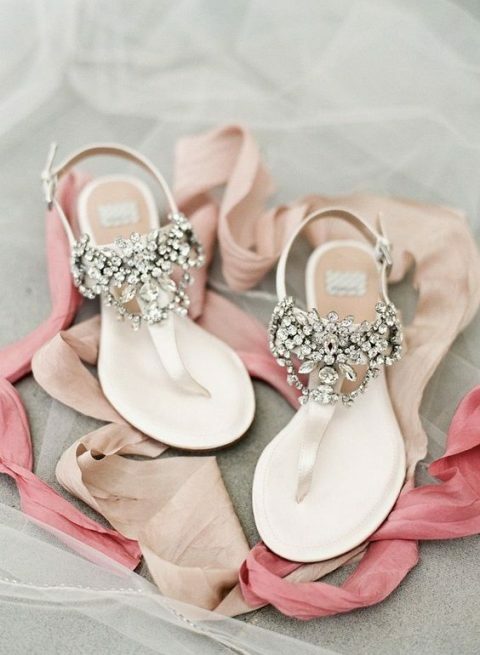 All the hottest wedding trends are considered, let’s dip into this beauty! 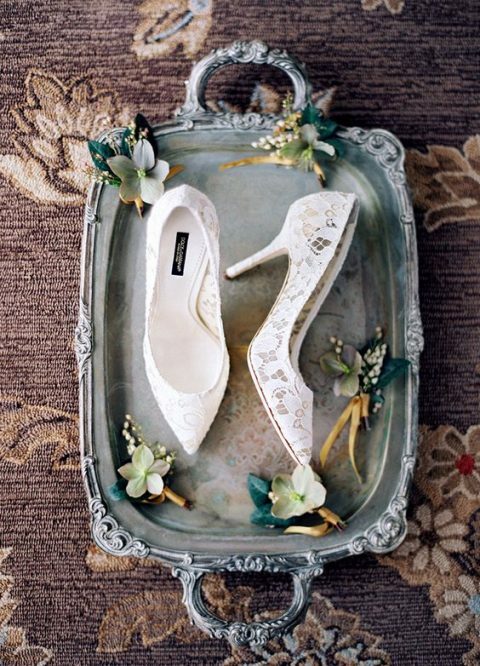 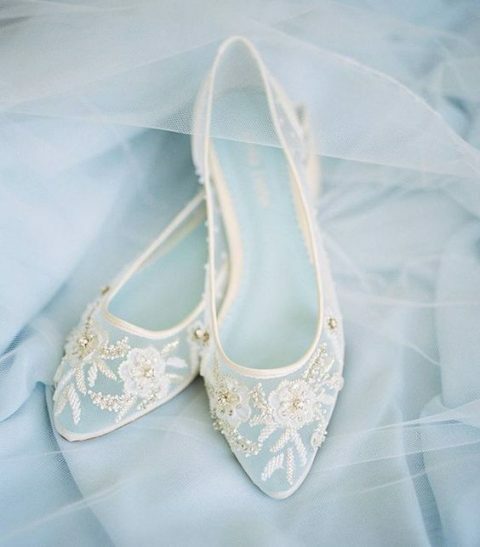 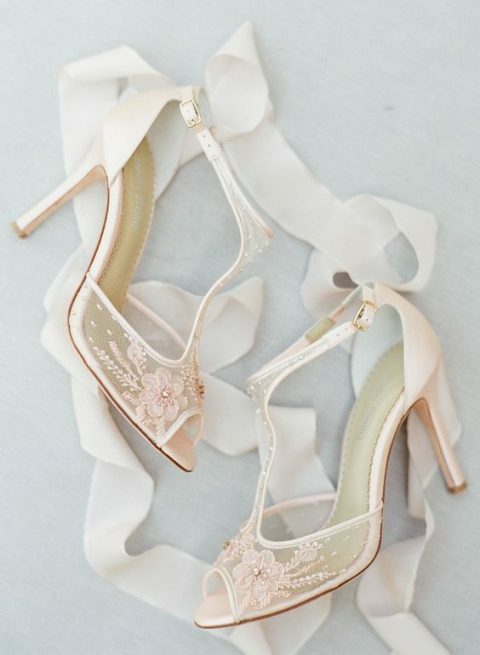 Lace wedding heels or flats became popular last year and they are totally trending right now. 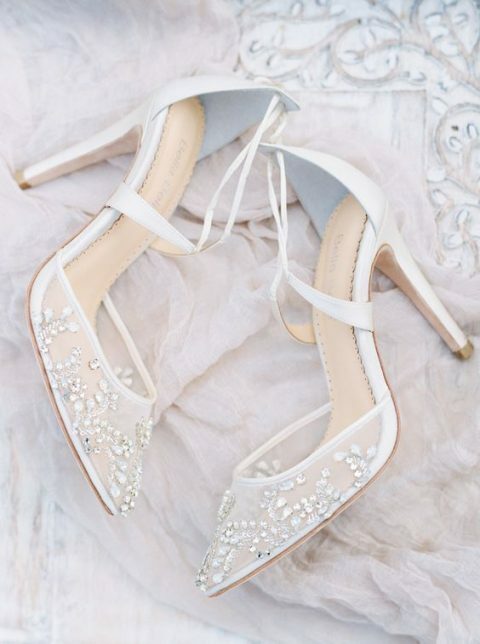 This is a very elegant and chic option that will definitely add a chic and refined feel to your bridal look. 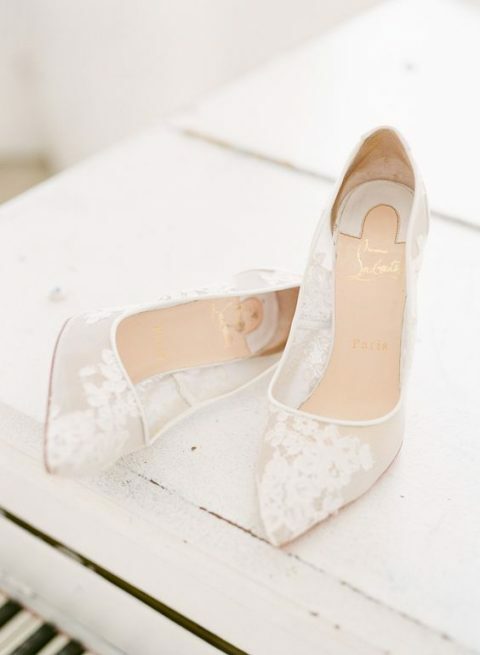 These can be sheer heels with lace appliques to show off the feet a little and get a more modern look, or fully lace wedding heels for a slight vintage feel. 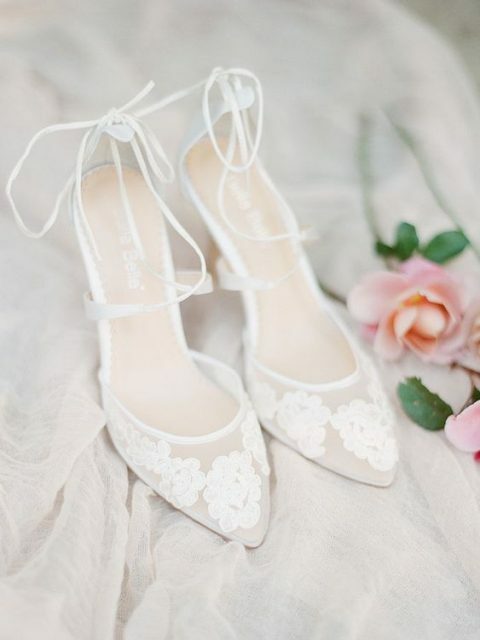 They can be blush, ivory, blue, white, creamy and of other delicate shades. 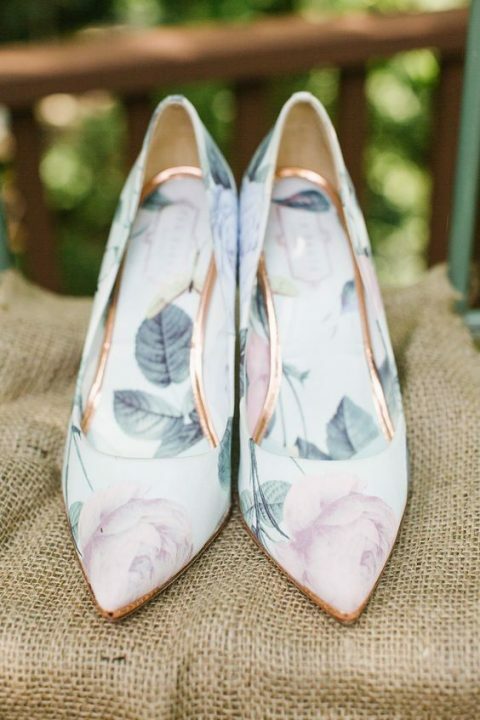 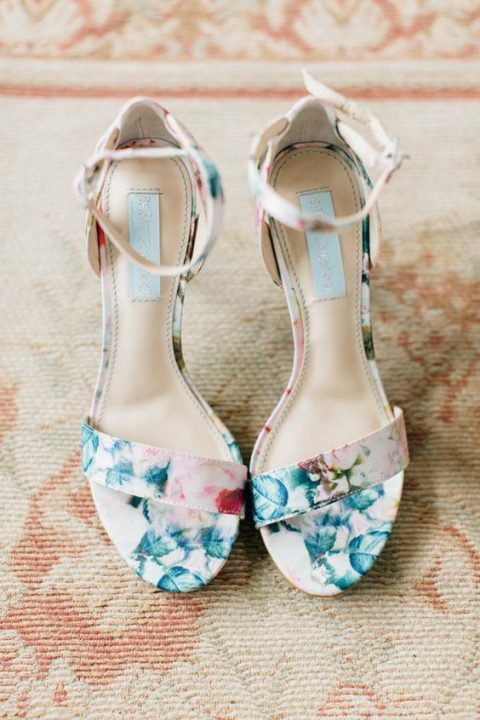 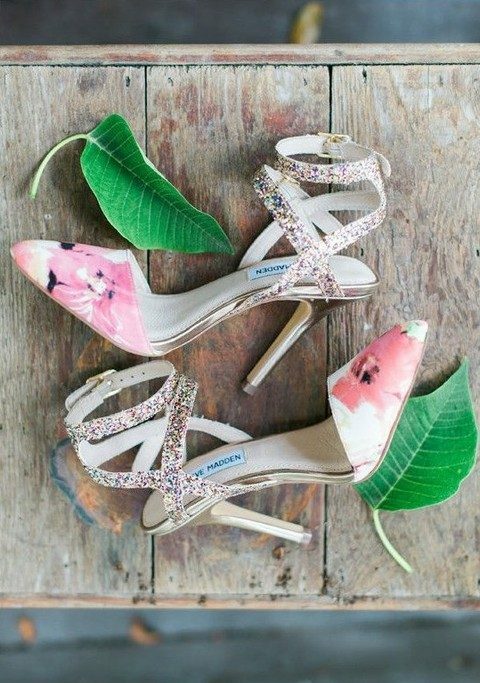 Floral wedding shoes are another romantic trend in the wedding world, and they are suitable for spring, summer and even fall weddings. 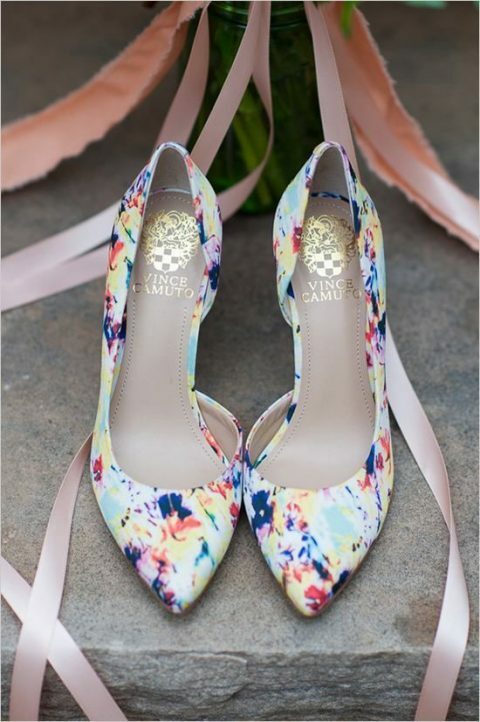 You may go for bold ones to add a colorful touch to your look or for tender pastel ones to show off your romantic nature. 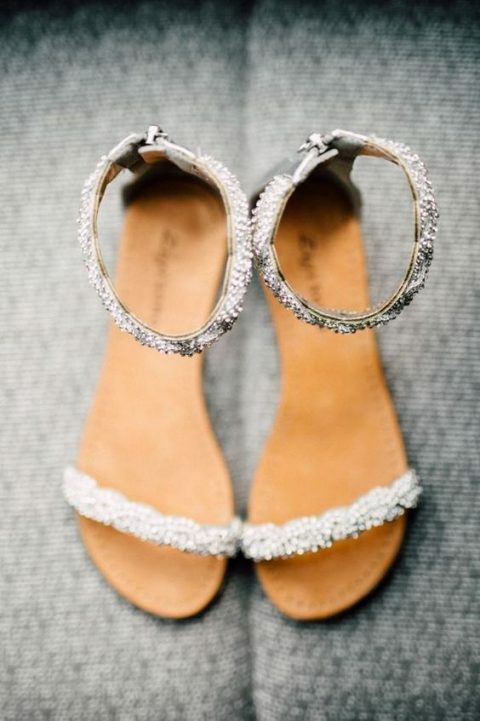 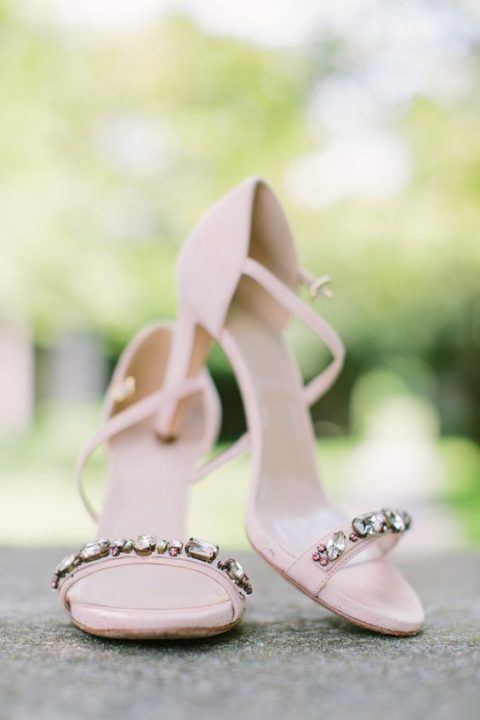 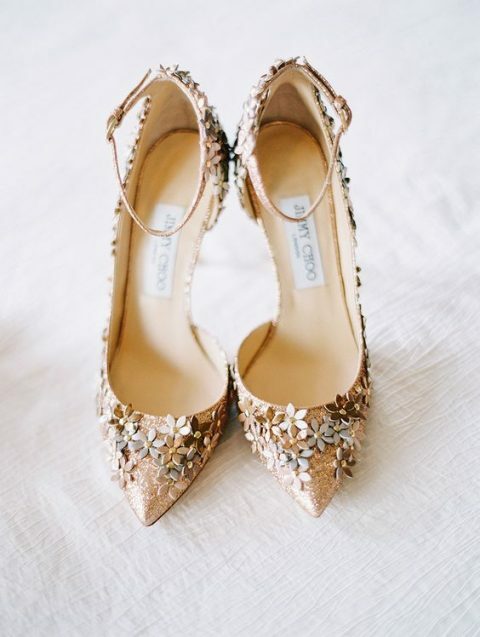 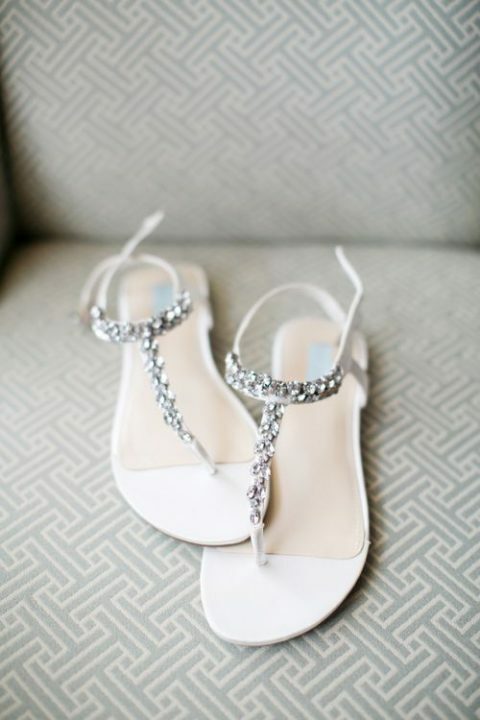 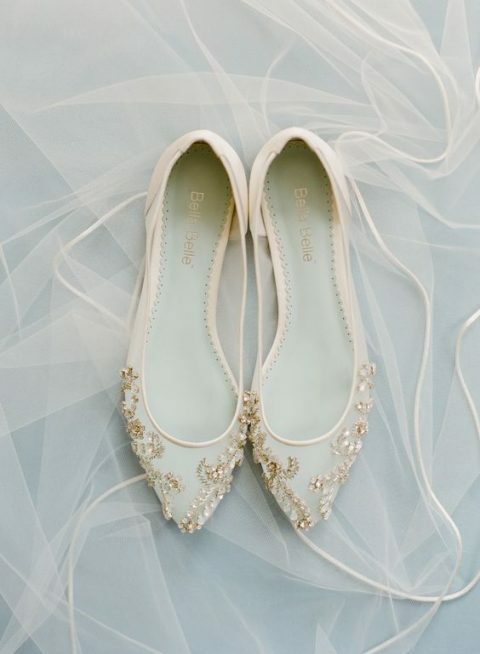 Embellished wedding shoes are a timeless idea suitable for any season and wedding theme, and they are to add a glam sparkling touch to your look. 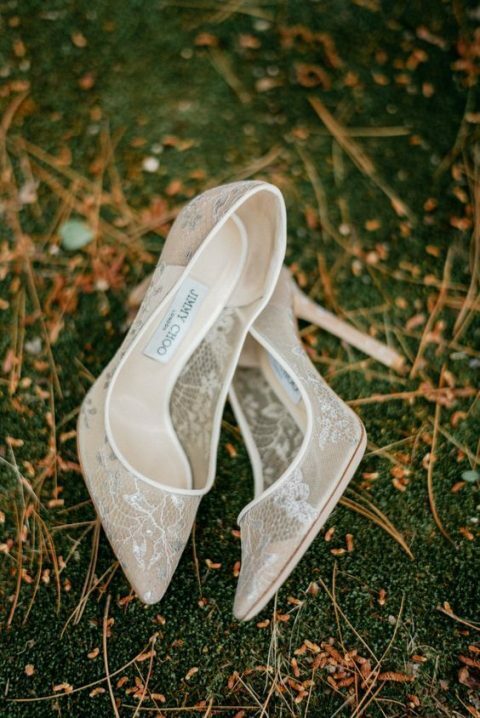 Go for gorgeous laser cut embellished wedding shoes, or for sheer blush wedding shoes with embellishments, for lace applique and embellished ones or for any other that you like. 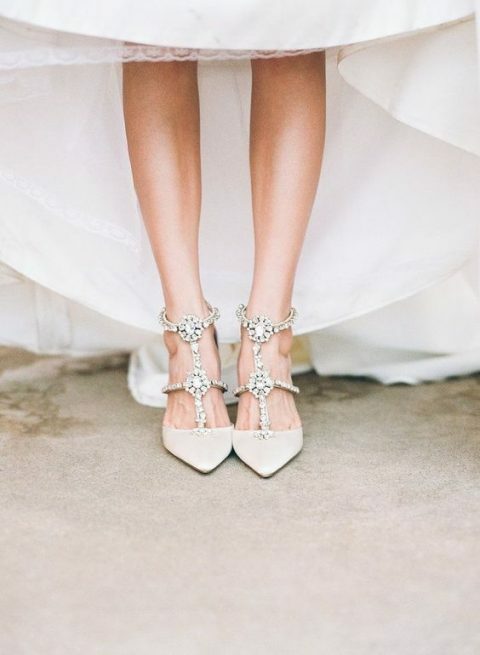 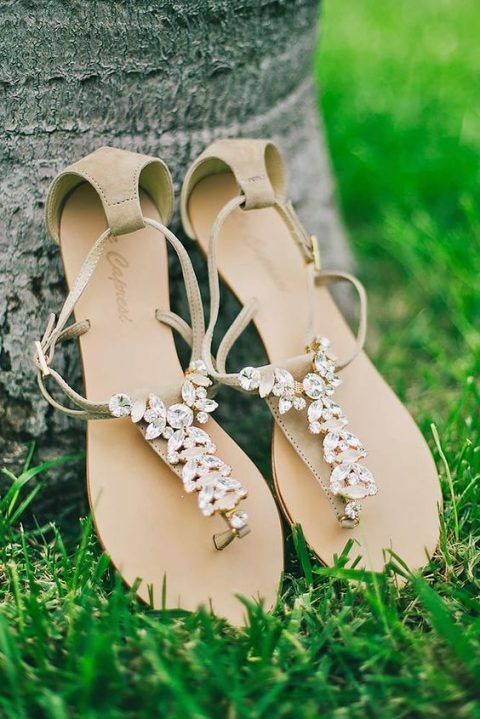 If the weather is going to be hot, opt for wedding sandals: strappy, lace up, embellished, with T-straps, ankle straps and many other details. 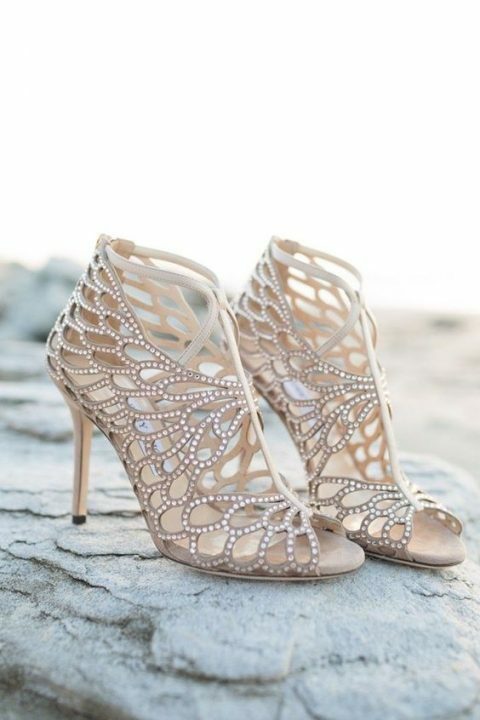 They can be glam or embellished, strappy or very laconic, lace up or T-strap, heeled or not – it’s up to you and the look you want to create. 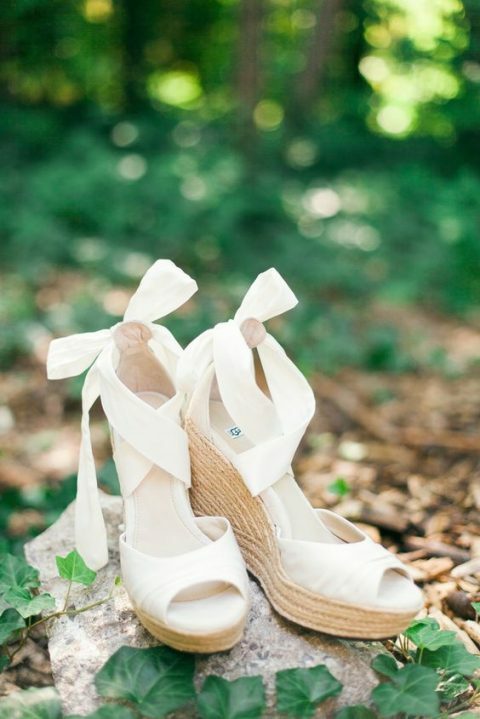 Wedges are very comfy to wear, especially if the weather is hot, consider this idea. 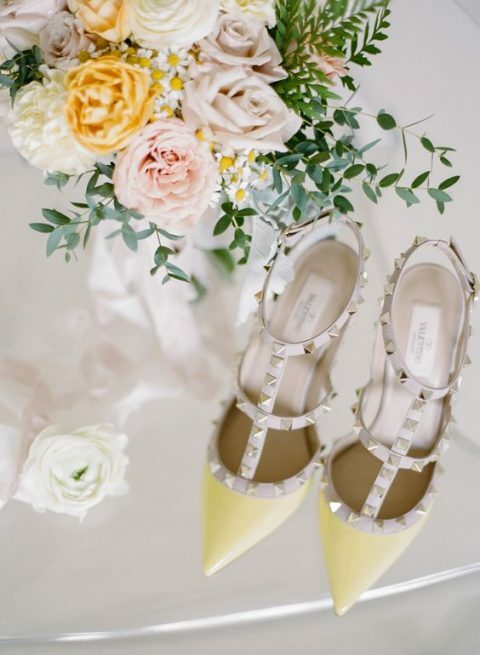 If you want to add a colorful touch to your look, why not try neon yellow studded heels or wear chic blue heels for that something blue touch. 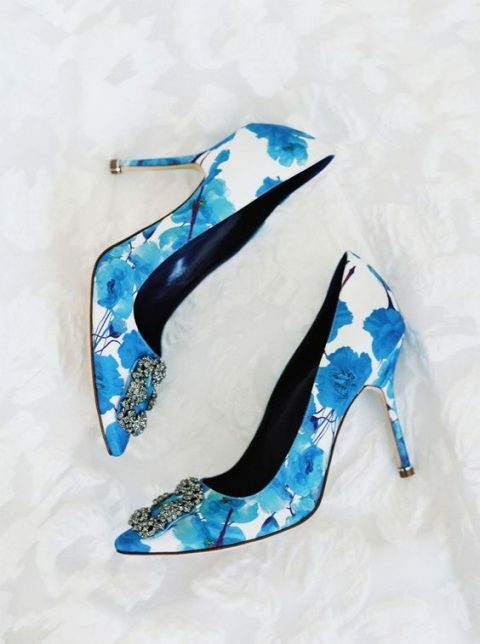 Choose your best pair and be stunning! 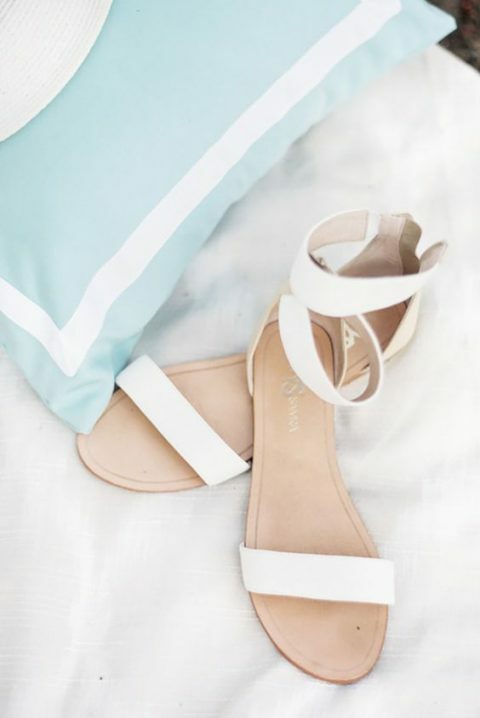 Ahaa, its good conversation concerning this article at this place at this weblog, I have read all that, so at this time me also commenting at this place. 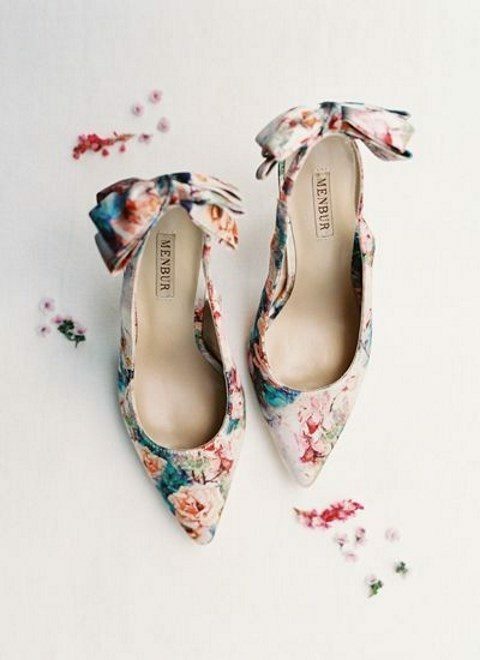 Thanks for all your valuable efforts on this web site. 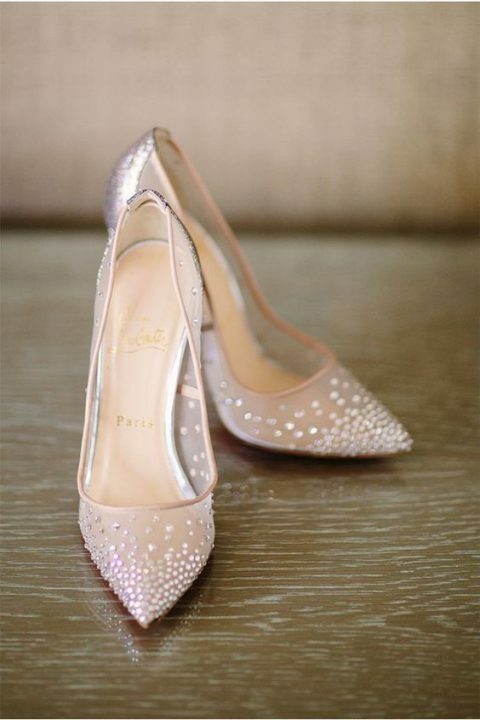 My mother takes pleasure in managing research and it’s simple to grasp why. 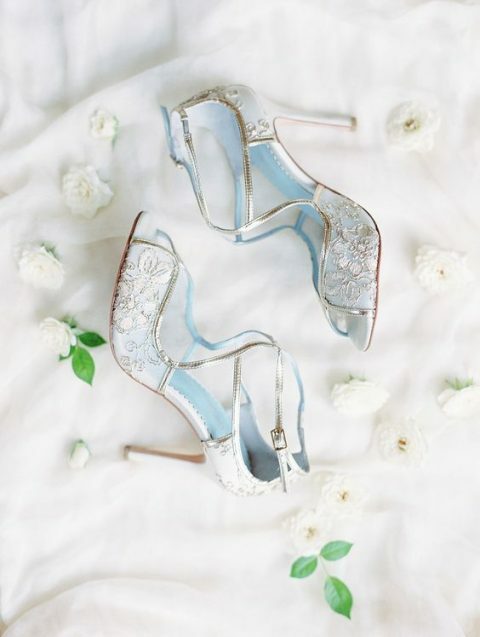 I notice all relating to the dynamic way you render insightful tips and hints via the website and therefore boost response from visitors on the situation while my girl is really studying a whole lot. 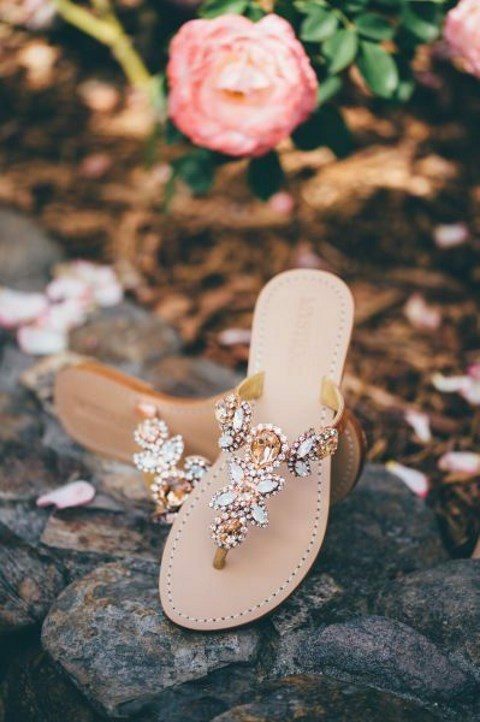 Have fun with the remaining portion of the year. 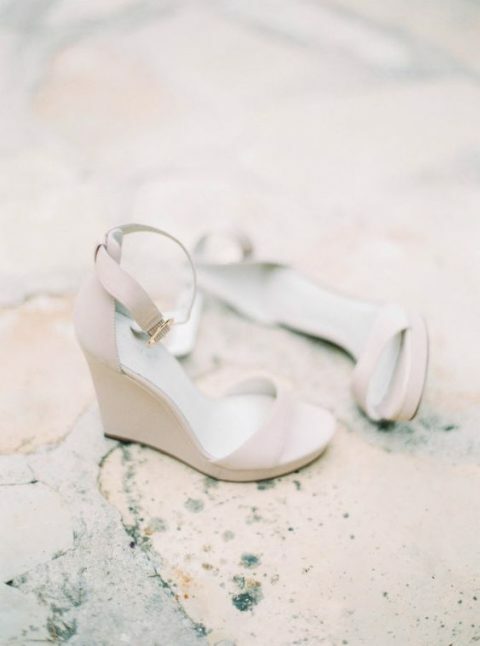 You’re the one doing a very good job.